A tweet of a story for St Valentine’s Day! Hawaii is 11,300 km from us here in Timoleague. There you will find a German goat farmer preparing our smoked eel for his Valentine’s Day Dinner! A couple of weeks ago I was watching an episode of MasterChef on Irish Television; they were creating dishes from smoked eel. I thought it might be of interest to others so put out a brief message on Twitter at 8.37pm. 7 minutes later there was an order in from Thomas of The Surfing Goat Dairy in Hawaii! Curiosity got the better of me, and a series of emails determined that indeed it was our tweet that got his attention as he was seaching for smoked eel for their annual St Valentine’s Dinner. The following Monday we despatched the smoked eel with UPS; imagine our delight when it was delivered two days later on Wednesday, just 51 hours after leaving here! The Smoked Eel traveled from Cork to Cologne in Germany; from there to Philadelphia and on to Ontario in California before heading across to Honolulu and finally to Kahului and The Surfing Goat Dairy Farm, a total distance as the eel flew of 15,473 km or 9,614 miles. With a transit time of 51 hours that gives the smoked eel an average speed 303 kph or 188 mph!! So if you are ever in Hawaii for St. Valentine’ Day (and any other day! ), say “Aloha” to Thomas and his team; the Dairy Farm is located on the beautiful slopes of Maui’s Haleakala Crater in lower Kula and has been producing award winning “Maui Gourmet Goat Cheeses” for over 9 years! Where DOES our pork come from? Since Ireland’s Pork Fiasco in December 2008 there have been noises made about exactly where our Pork comes from. There are now Assurance Schemes which help to reassure us that those particular products are Irish, but there is nothing in place to show where pork products NOT bearing these schemes labels come from. Are we to assume that all products NOT carrying these labels are therefore NOT Irish grown pork? The pork that we cure and smoke is Irish; what’s more we can trace our pork back to the farm where it was grown, back to Martin O’Donovan in Timoleague for instance, which is much more than most suppliers of bacon or pork can do. But we aren’t part of Bord Bia’s Quality Assurance Scheme, so don’t assume that if it doesn’t have the Q.A. stamp on it that it’s not Irish. The need for clear Country of Origin labeling is obvious. Yesterday, Ummera had a Twitter conversation/debate with Bord Bia over the question of traceability. All we really want to know is where our food comes from: what country, and if Irish what farmer and where? Eels wriggle on – but for how long? Our rather alarmist headline in our newsletter of March 9th, “Smoked Irish Eel will be extinct by the end of July“, caught the eye of some of the media! The first to publish is the UK’s Country Life magazine with a piece by Marianka Swain entitled “ Ban on Irish eel fishing for 90 years“. Look at the Wikepedia entry for European Eel. 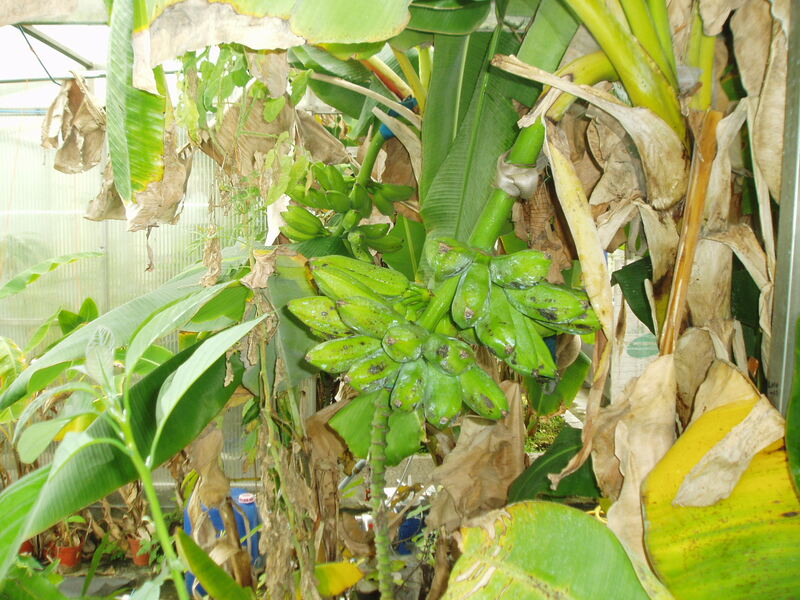 Note that it is labelled as “Critically Endangered”. Depending on the source, but stocks returning to European rivers are down by 90% (and probably more) since the 1970’s. Another fascinating entry relates to the life cycle of the eel . No one knows just how the eels make their way back to their spawning grounds! There are still some unsolved myteries about. Kinsale Transition Town 50 Mile Meal Awards! 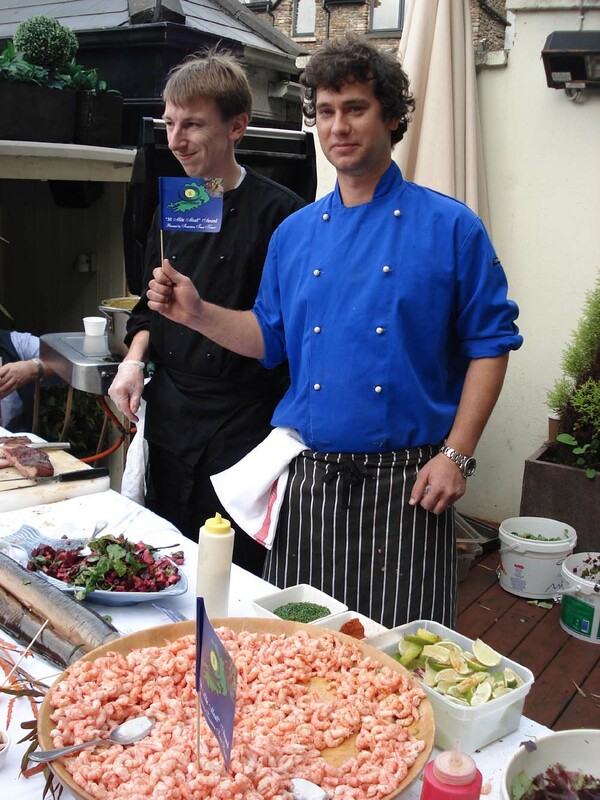 Congratulations to Pearse O’Sullivan and his crew at Toddies Restaurant for wining the 2008 Kinsale Transition Town award yesterday with their fantastic salad made from Tom The Veg’s Kinsale grown Beetroot, Pearse’s own Watercress and Ummera’s Smoked Eel.! For some reason the mention of Smoked Eel as a dish has a strange reaction from many people, but Pearse’s recipe won over all the happy people on the Mad Hatter’s Tour on the Saturday. The idea behind the competition during the Kinsale Gourment Festival is to inspire restaurants to source their products locally as much as possible. No plaice or sole from Iceland for example when superb locally caught fish IS available from fishermen landing in Kinsale. Irish Bananas - Green of course! The 32nd – would you believe it!- Kinsale International Gourmet Festival begins today. Join Alice, the Mad Hatter, March Hare and the Fieldmouse for the Highlight of the Festival – an escorted tour of the 12 Members of Kinsale’s Good Food Circle who will present spectacular dishes from their kitchens bearing testimony to the culinary skills of the chefs of Kinsale. Pearse O’Sullivan and his team at Toddies Restaurant will be using our Smoked Eeel in one of his dishes. I might be there! Our Smoked Eel is now becoming stocked around the country – and overseas – but in Kinsale you can find it at the Mange Tout Delicatessen in the centre of town! This is the third visit of Ummera Smoked Products to the Speciality and Fine Food Fair. It is irresistible! Ummera is a tiny company, employing four people (and not all fulltime! ), but somehow their name and reputation has spread to many places far from their home in West Cork, Ireland. In this year’s Bridgestone Irish Food Guide, written by John and Sally McKenna, they say of Ummera “….seems to pick up culinary awards as often as the rest of us have hot dinners.” They go on to say, “It’s no surprise that his smoked foods should be so garlanded, for they have a delicacy, a subtlety, that shows the smoking process being used at its zenith. 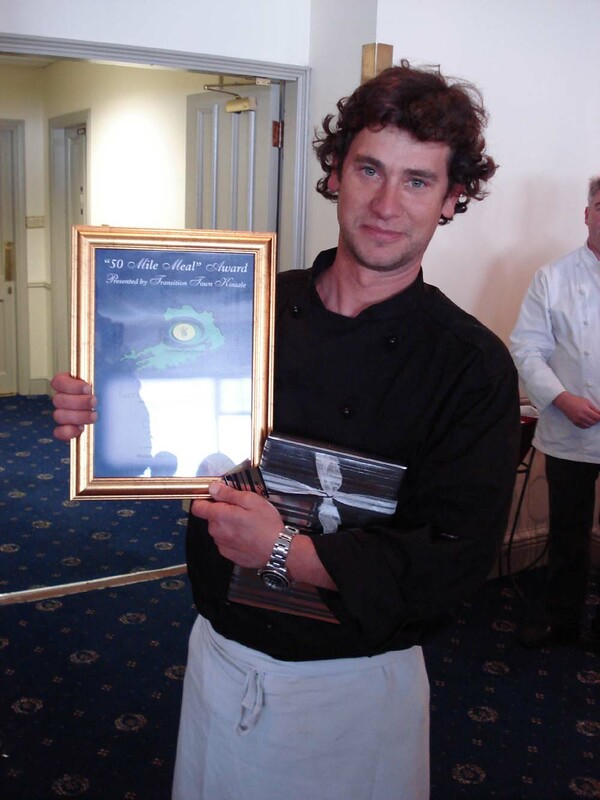 In March 2007, Ummera were honoured with the Irish Guild of Food Writers Award for their Smoked Silver Eel. Sadly, the eel stocks are in great difficulty so this is almost a posthumous award. In August, the Irish Food and Wine Magazine had their annual Restaurant of the Year Awards in Dublin. A new Award was introduced this year for Best Artisan Supplier; Ummera was one of the nominees for the award and received a Highly Commended. Ummera’s new product for 2007 is an Organic Gravadlax. Launched quietly early this year, Ummera has been delighted with the response to this simple marinated salmon. By using the very finest of ingredients in the marinade, Ummera has lifted the simple to a complex. The organic salmon are sourced from the west coast of Ireland; the salt comes from traditional saltpans at Tavira, on the Algarve, Portugal. The dill and peppercorns are organic and Ummera uses a raw cane sugar organically grown in Costa Rica; the last international element to their Gravadlax comes from the London & Scottish Distillery in London, an organic whisky. The following news came from the EU Commission yesterday. It is to be greatly welcomed, but it will mean that it is unlikely that we will be smoking any Silver Eel after this year. We hope to procurte fresh stocks this autumn, but we will be ensuring that the river systems, from which we will be sourcing, have sufficient stocks to be sustainable. “The Commission adopted its proposal for the recovery of European eel in October 2005. After lengthy discussions at the Council meetings in April and May, the Commission is glad that Council was able to reach agreement on the restocking measures that will be crucial to the recovery of the stock. Under the new regulation, each Member State must submit to the Commission, by 31 December 2008, a national Eel Management Plan that outlines the measures that it will take in order to achieve the objective of 40% escapement of silver eel (adults) from inland waters to the sea and to spawning grounds. A Member State may submit specific plans for different river basins within its territory. Member States sharing river basins must endeavour to prepare joint management plans. The management plans will then be evaluated by the Commission´s Scientific Technical and Economic Committee for Fisheries (STECF) before final approval is granted by the Commission. One of the great benefits of being one of the recipients of this year’s Irish Food Writers Guild Awards is the wonderful publicity which follows! No enthusiastic press releases, no arm twisting, no samples that never get sampled, no bribery (heaven forbid! ), none of this is needed to get the food writers to write about you! After all who better to write about the awards and the winners than the food writers themselves! To receive one of their awards has to be very humbling as we haven’t entered any competition knowingly, we haven’t submitted any samples (with the €100 note attached), we haven’t prepared a ‘special’ show sample. We have been judged by our critics and found good. That is very satisfying. Articles and mentions in the Irish Times, Independent, Irish Examiner, Food & Wine, Mooney Live in the last ten days, and no doubt others to come, is a bonus. The trip to Dublin and lunch at L’Ecrivain with food writers and producers was an award enough! The team here at Ummera, Jonathan, Andrzey and William were delighted to see a photo of themselves in Carla Blake’s page in the Examiner accompanying a well told story. They deserve the credit.